We’re now just a few days away from Apple’s announcement of the iPhone 5S and iPhone 5C. The iPhone 5S will most likely be released towards the end of September, alongside the iPhone 5C. iPhone 5C will be a brand-new, plastic-chassis smartphone that comes in a variety of colors. The “C” in this case, stands for color, but of course this model is expected to be a lot Cheaper, too. As we all know, even though iPhone has been considered as one of the best smart phones so far, it still cannot support all video formats or audio formats. So if you are planning to buy this beautiful and low-cost iPhone 5C, you need an iPhone 5C video converter. As an excellent iPhone 5C Video Converter, Any Video Converter can put almost any video formats to iPhone 5C with best video and audio quality. Besides, the iPhone 5C Video Converter can help you convert YouTube video to iPhone 5C without any question, or download YouTube video to iPhone 5C effortlessly. Free download this professional iPhone 5C video converter to get stunning visual feast on your iPhone 5C now. he iPhone 5C is expected to come in up to six shades, including white, blue, green, red, and yellow. A black iPhone 5C hasn’t been leaked yet, and Apple might keep black as a “premium-only” iPhone 5S color. iPhone 5C is expected to be powered by a dual-core CPU, and have a 4-inch screen, just like the iPhone 5, with a resolution of 640x1136 pixels. The iPhone 5C is rumoured to have 1GB of RAM, and come in 16GB, 32GB and 64GB storage variants. It'a also likely to sport an 8-megapixel rear camera and a 1.2-megapixel front facing camera camera and run iOS 7 complete with Siri which would be available in English, French, German, Japanese, Chinese, Korean, Italian and Spanish. Price is the single biggest factor when it comes to the budget iPhone 5C. Rumors put the price anywhere from $300 (£192, AU$331) to $500 (£321, AU$552), significantly cheaper than Apple's high-end iPhone models. Tutorials:How to convert video to iPhone 5C? Get ready to enjoy videos on your iPhone 5C! Here the following is a brief guide on how to convert video to iPhone 5C:. Run the iPhone 5C video converter and add your videos. 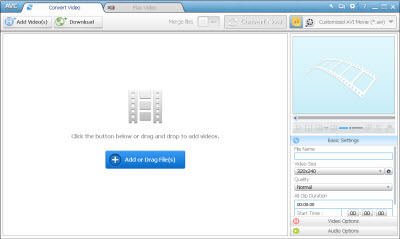 Simply click Add Video button to import the video files from your hard drive. Batch video conversion and merging videos are supported. Choose output profile "Apple iPhone MPEG-4 Movie (*.mp4)" in the profile drop-down list. For better enjoying videos on iPhone 5C, you can customize video and audio options, such as Video Codec, Video Bitrate, Audio Codec, Audio Bitrate, Audio Channel, Disable Audio, etc. Click Convert button to start converting video to iPhone 5C. Once the conversion is finished, you can click "Output Folder" button to get the MP4 files and import the output videos into it. Just have fun! Tutorials: How to Download Youtube Videos to iPhone 5C? iPhone 5C Video Converter is an excellent YouTube video downloader. It offers you the easiest and most convenient way to download the YouTube video. 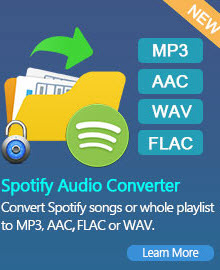 Step 1: Please download and install iPhone 5C video converter . Read More: How to Keep iTunes Movie Rentals Forever on iPhone 5C? 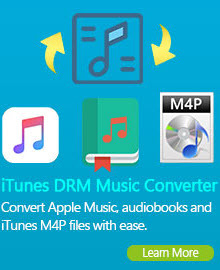 M4V Converter Plus is able to remove DRM protection from iTunes movie rentals. You can choose iPhone 5C in the output profile directly and the M4V Converter will convert the selected iTunes movie to video file that is supported by iPhone 5C.